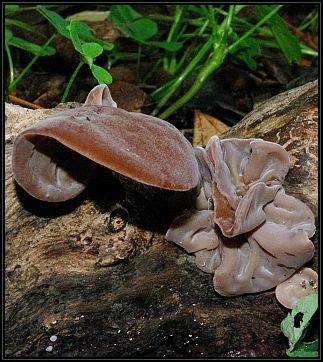 Description: Small to medium sized fruiting body, growing on decaying branches and tree trunks in humid conditions, rounded to 'ear' shaped, gelatinous and rubbery in texture when wet but hardens and darkens on drying. 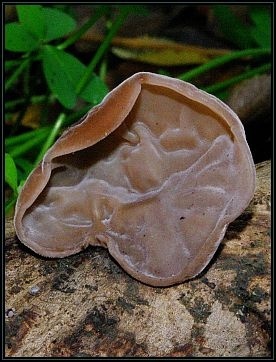 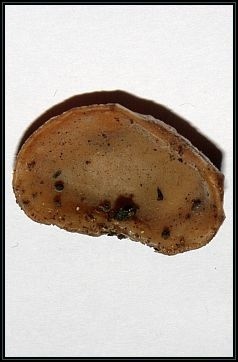 Outer surface brown with a violaceous tint and a smooth felt-like surface, inner surface often wrinkled (like an ear-lobe) and paler in colour (greyish-brown). 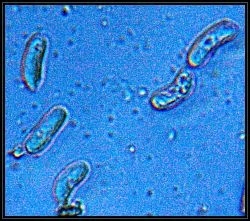 Spores print (deposited from the inner surface): White. 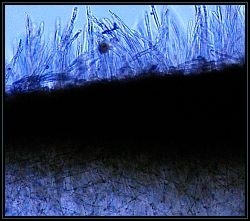 Pellis: Interwoven filaments with several erect hyphae (as transparent hairs) on upper surface.